DoubleLine Capital's Jeff Gundlach is a prominent bond fund manager who likes to make bold predictions about the markets. In a recent article, he suggested that investors sell "short" the S&P 500 (betting it will go down) and use the proceeds to buy emerging markets. Despite its speculative nature, this is the type of "sophisticated" investing many are attracted to. Unfortunately, these big bets often wind up backfiring. 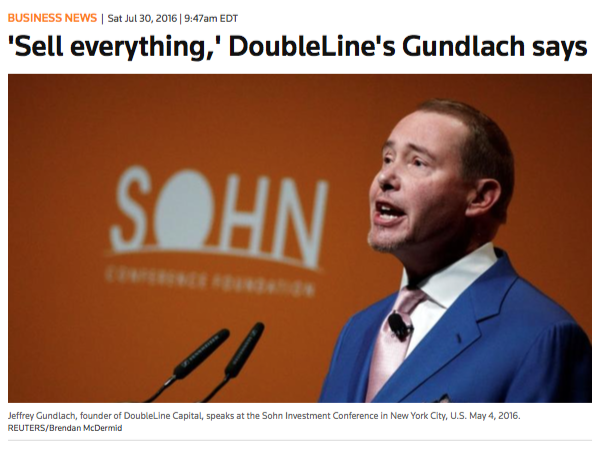 Consider that Gundlach made news last Fall when he suggested that investors "sell everything." Since that time, every "core" stock asset class has had a double-digit return. 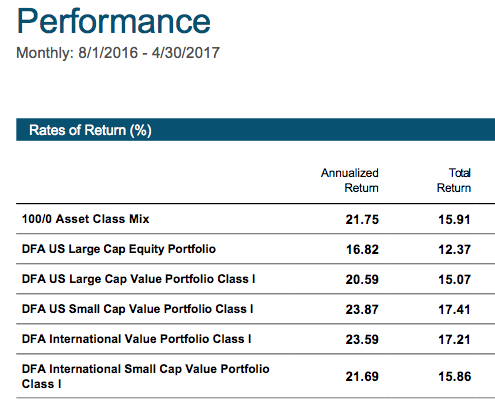 A diversified portfolio ("100/0 Asset Class Mix") gained almost 16%. Missing this gain, even when averaged over a 10-year horizon, still amounts to a return of -1.6% per year less than what you should have earned. Better to stay fully invested in your plan and accept that stocks do sometimes go down temporarily, but if you have the discipline to ride out the decline, you probably won't suffer the permanent loss that results from failed market timing maneuvers.